BMW Brake Maintenance is one of the most important things you can do to make sure that your BMW brakes retain their full performance. Considering that your brakes are the number one safety feature of your vehicle, it is important that your BMW brakes maintenance is performed by professionals who will get it done correctly. 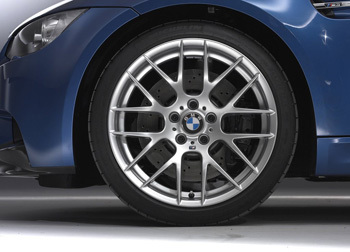 Though it’s true that you may need to have brake maintenance performed more often, it’s a small price to pay for the knowledge that your BMW brakes will react as you expect them to every time. BMW brake repairs are of the utmost importance to the luxury import vehicle driver. The assurance that your vehicle will be able to stop when required is one of the features that should not be considered an extra perk or added feature, it’s an absolute necessity. Don’t gamble with the wellbeing of you, your passengers or your car; let us maintain your brakes so that there is no question of their operation when you need them most. One of the interesting things about BMW brakes that many drivers don’t understand is that they are build for performance rather than longevity. The fact is that BMW brakes are elegant and sporty rather than hardy and tough. When push comes to shove, the fact that your BMW Brakes are lightweight is what really allows your vehicle to be a performance driven, luxury oriented sports car. The implications of this from a maintenance standpoint are that you will need to be more mindful of the maintenance performed on your brakes. In an ideal situation, your brakes should be inspected once every 10 thousand miles, the perfect time to do this is when your exchange your brake fluid, which should be once a year. Under normal strain, your brake pads and rotors can last up to 50 thousand miles, but we recommend replacing them at 40 thousand miles to ensure that they will work properly no matter what. Interestingly enough, your brake performance is also attached to your suspension system. Because BMW vehicle are designed to be nimble and responsive, these two systems work in conjunction to ensure that your ability to control your vehicle is unparalleled by any other vehicle. We suggest that when you replace your brake pads or rotors, you allow us to inspect your suspension to determine when the next service will be necessary. The reason it is prudent to change out your brake pads at the proper interval is to preserve your brake rotors. The brake pads are what actually make contact with the brake rotor and to stop your vehicle. If the brake pads are allowed to wear down to metal, then the rotors themselves can become warped and grooved, this means that they need to be replaced before you can drive safely. The brakes in your luxury import vehicle are what allow you to utilize the speed and elegance that is built into your vehicle. Keeping the brake system in good condition will allow you to drive your vehicle that way that you want to without the need to question your safety. We are Arizona's finest independent BMW and Mini Cooper repair shop.